You may not have even considered that curly-haired women have a few extra things to think about when coloring their hair....unless of course, you have curly colored hair! Then you would know the problems you encounter! Here, find a few quick tips about coloring curly hair. You might think just become someone is a stylist or colorist, they have extensive experience in all hair types. The fact is, that is simply untrue. 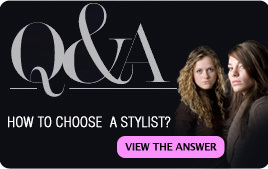 When choosing a colorist, choose one that has a proven portfolio of fabulous color jobs on even the curliest of heads. You may even want to look for someone with curly hair themselves, as they'll truly have an understanding of the distinct type of hair that is the curl. Some types of curls require specialized types of coloring. If your colorist won't do these types, you may want to consider a colorist who will. Foiling is not the only way to give yourself the gorgeous color you desire. Baliage, or free-form hair coloring is a specialized technique where locks of hair are literally hand painted. It's an intense and highly specialized coloring technique, but for some curls, it's the only way. It's certainly more expensive but will give you a whole new level of color you've never experiences before. And most importantly, NEVER patronize a colorist who wants to pull your hair through a cap! Caps might be OK for pin-straight hair, but even the slightest wave can get tangled or bottle-necked underneath the cap causing an uneven distribution of color. It might be tempting to buy a home-coloring kit to save a afew pennies...especially given the current economic situation. 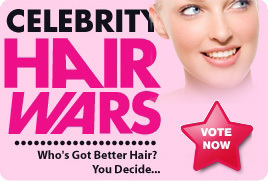 But if you've got curly hair, this is a major no-no! Coloring curly hair requires a specialized knowledge of the distinct makeup of a curl, and knowing how to color it just so. Our recommendation: save your pennies elsewhere and use it on a colorist. As a non-colored "curly", you might have indulged in all kinds of straightening, smoothing, anti-frizzing, anti-everything products. But things have changed now that you're coloring. Specialized products often strip your hair of certain nutrients that hold the color onto the hair strand. However, there are a few high-end products that use a different chemistry that is safe for your precious, luscious locks. Consult your colorist about the types of shampoos, conditioners, and products you should be purchasing to achieve the look you want while sparing your color.